Born at Alderley Edge, Cheshire, England on 16 December 1867, he emigrated to Canada in 1888 and graduated from the Winnipeg Collegiate. He lived at Swan Lake for four years before becoming a teacher at Dominion City. 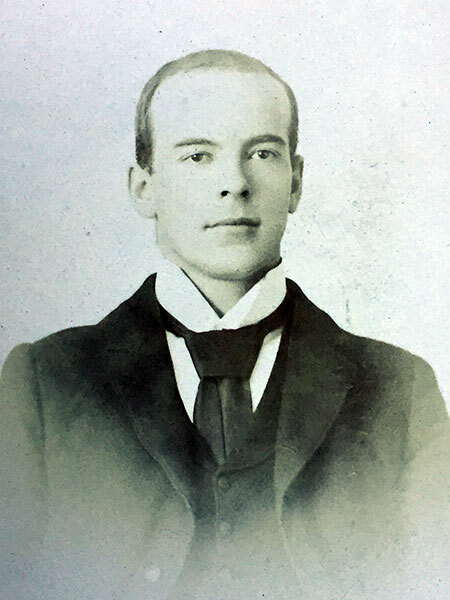 In 1893, he became the High School Principal at Manitou, remaining there until 1913. He served successively as the Principal of the Neepawa Collegiate (1914-1916), Carman School (1928-1929), Ladywood (1929-1932), Garson School (1932-1933), and Dugald School (1942-1943). He spent five years working for the Manitoba Department of Education at Winnipeg, establishing its library. After the First World War, he assisted in rehabilitation work. He was a member of the Mentors Club. He died unmarried at Winnipeg on 10 November 1954 and was buried in the Old Kildonan Cemetery. “Farewell to veteran,” Manitoba Free Press, 11 July 1913, page 28. “Tribute paid to Edgar Burgess, veteran teacher,” Winnipeg Free Press, 24 October 1932, page 2. “School Principal for 38 years, E. Burgess dies,” Winnipeg Free Press, 11 November 1954, page 40. Obituary, Winnipeg Free Press, 12 November 1954, page 39. We thank Nathan Kramer and Pat Miles for providing additional information used here.